Sharknado! Shark Tank! Shark Week! 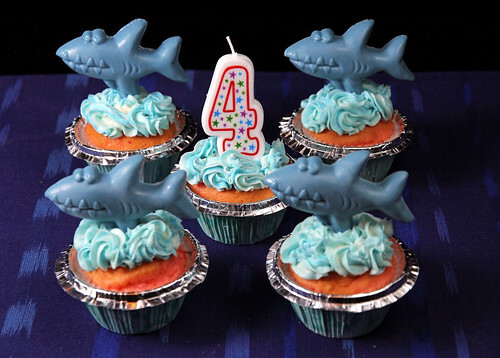 These shark cupcakes are killer. 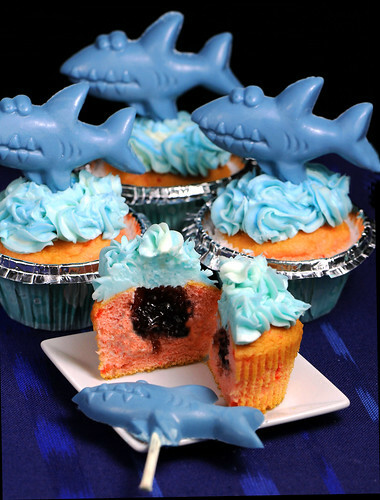 Here are your Strawberry Cupcakes with Coconut Frosting topped with Raspberry flavored Candy Sharks riding the waves!